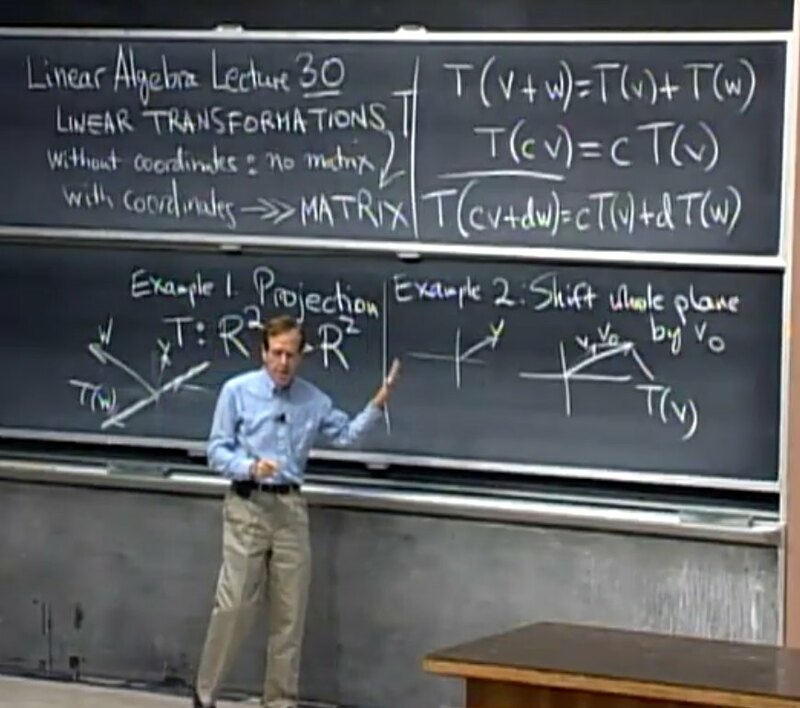 Lectures by Gil Strang: MIT 18.06 (Spring 2005) on YouTube - scroll to bottom of this page for overview of videos by topic. You may find the lectures more exciting when you watch them at 1.5x or 2x the normal speed (keeping the pitch of your voice constant). It is good for a quick review too. You may follow the the link below to set up your media player.